Call me old-fashioned but I've always loved the idea of a good "Thank You" card; I feel like, at times, people put so much effort into what they do that a bit of recognition is needed. 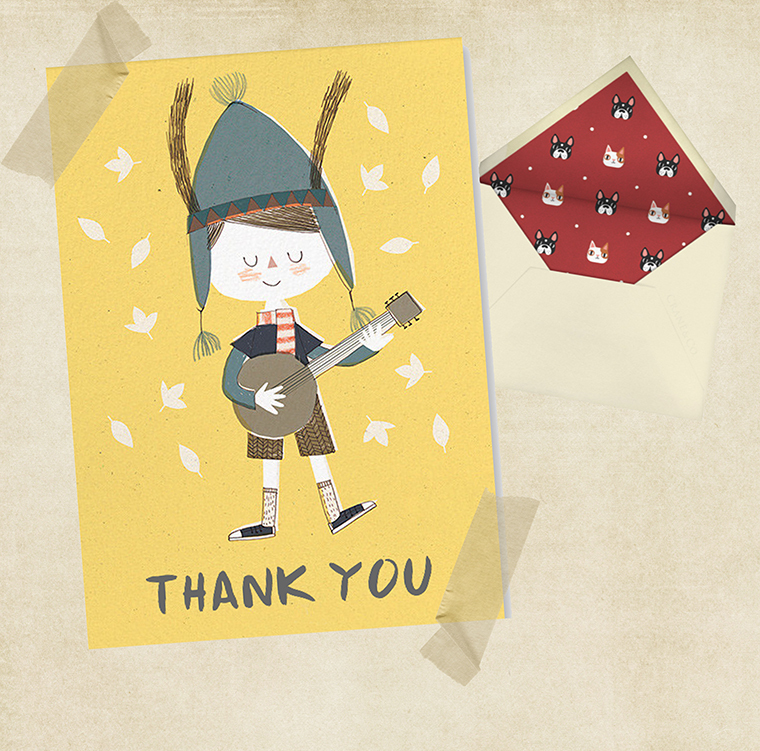 Whether you're the host of a party and want to thank the guests for coming (or the other way around) or you just feel like giving some love to those who support you, the tradition of a Thank You card is something that I wouldn't like to see disappearing. But, of course, modern times call for modern solutions. 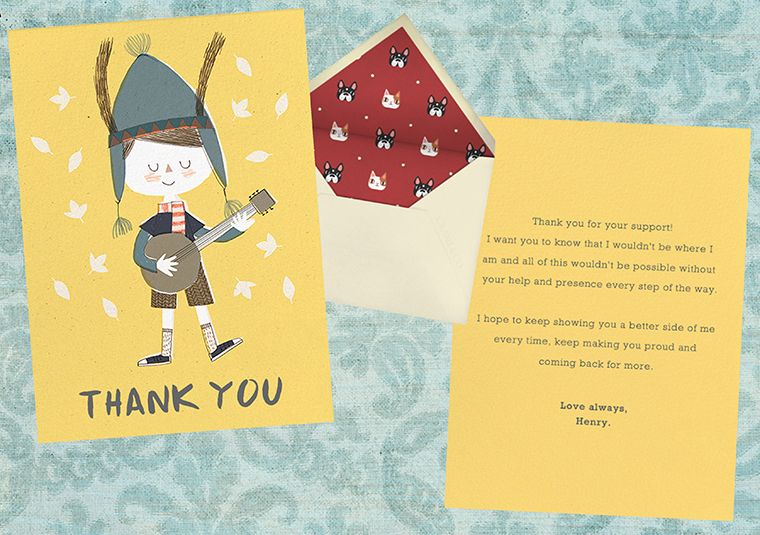 Not many people send physical cards or letters nowadays and that's where Paperless Post comes in; it's a service that helps you create thank you cards, flyers, invitations, save the dates and all kinds of cards and make sure the recipients get them. If you're not good at designing, they have hundreds of templates to choose from and the cards come with a nice animation of an envelope opening to reveal its contents. Prices change depending on your design so you can go as simple or as complex as you want. So, going back to the thank you part of this post, and I'm being honest here, when was the last time you took the time to write a note to someone you care about? I don't do it often enough and I wanna change that, it only takes a minute or two and it's a really nice thing to do, it makes you feel good and it brings a smile upon the recipients, guaranteed. Take a look below at a mock card I made for you, my dear reader, to thank you for being there all these years... And if you want to try and create your own, head to Paperless Post! // Llámenme anticuado pero siempre me ha encantado la idea de una buena tarjeta de agradecimiento; siento que, a veces, la gente pone tanto esfuerzo en lo que hace que un poco de mérito es necesario. Ya seas el anfitrión de una fiesta y quieras agradecer a las personas por asistir (o, al revés, agradecer por la invitación) o nada más tengas ganas de dar un poco de amor a aquéllos que te apoyan, la tradición de la tarjeta de agradecimiento es algo que no me gustaría ver desaparecer. Pero, por supuesto, tiempos modernos piden soluciones modernas. No mucha gente manda tarjetas físicas hoy en día y ahí es donde Paperless Post entra: es un servicio que te ayuda a crear tarjetas de agradecimiento, flyers, invitaciones, save the dates y todo tipo de tarjetas y se asegura que los destinatarios las reciban. Si no eres bueno diseñando, tienen muchas plantillas para elegir y las tarjetas vienen con una bonita animación de un sobre abriéndose para revelar el contenido. Los precios varían dependiendo de tu diseño, así que puedes ser tan sencillo o complejo como quieras.